You are at:Home»Movies»New King Kong vs. Godzilla Movie Is Being Planned, But How Will They Do It? 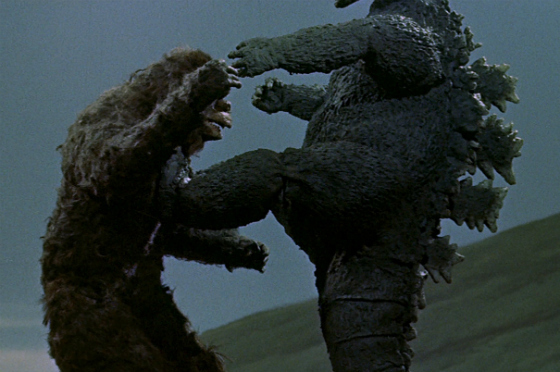 New King Kong vs. Godzilla Movie Is Being Planned, But How Will They Do It? Well, this is an odd development, for many reasons. The next Kong and Godzilla movies aren’t even done yet, but now Legendary is apparently switching Skull Island from Universal to Warner Bros., because that’s who they have the Godzilla movie deal with. Here’s the thing: Deadline reports that King Kong is a character in the public domain, but it’s not quite that simple, due to many legal battles over the years on behalf of Kong creator Merian C. Cooper. Anybody can make a giant ape movie and call that ape Kong, but Universal owns the distinctly Peter Jackson-made version, for example, while Paramount owns the design and elements of the 1976 Kong who climbed the World Trade Center. Publishing rights to any books about King Kong appear to still be owned by the Cooper estate, and Time Warner owns the rights to the original 1933 movie and its sequel, Son of Kong. Point being, unless Legendary got Universal’s full blessing to do this, it will probably have to be a redesigned Kong that doesn’t look like the Jackson version. Though if they want him to believably fight the Godzilla we last saw onscreen, he’ll have to change anyway, and grow by a lot – the last big-screen Kong could have been picked up Fay Wray style by the king of the kaiju. Unless Godzilla has a nuclear accident and shrinks. This also pretty much confirms that Skull Island is set in the present day, as I suspected from their last casting news.